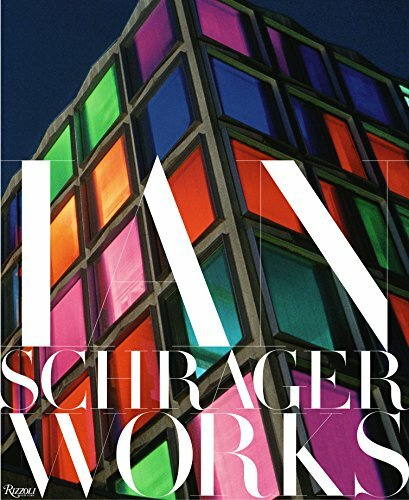 Long awaited, this volume spans almost forty years of contemporary high design as masterminded by Ian Schrager. Known for being the originator of the mythical Studio 54, as well as a creator of the boutique hotel, Ian Schrager has done much more than create, design, and manage hotels, restaurants, clubs, residential buildings, and various real estate developments throughout the world—he has challenged and redefined the idea of luxury and glamour. These spaces are renowned destinations for evening social spaces and fabulous, memorable parties as well as restful, urban oases.This book presents many never-before-seen photographs from hotels such as the Morgans, Paramount, Delano, Mondrian, and the famed Gramercy Park Hotel in New York that Schrager collaborated on with the painter Julian Schnabel; residential properties, including 40 Bond Street and 50 Gramercy Park North; and the legendary club Studio 54.With more than 200 photographs and texts from the most important designers of our generation—including Philippe Starck, John Pawson, and Jacques Herzog, all of whom also have designed for Schrager—the book reveals some of the highest and most successful expressions of environmental curation to date. This volume will have an enduring impact on entrepreneurs, interior designers, industrial designers, and cultural communities alike.